The CFL announced Thursday that Mexico's Liga de Futbol Americano Professional (LFA) will host a combine Jan. 13 for leading pros and university seniors who hope to play in Canada. A draft will follow the next day. CFL scouts will have a chance to evaluate and recruit Mexican football players next month. The 45-player combine will take place at Estadio Azul, a 33,000-seat stadium in Mexico City. The combine will feature several drills as well as interviews with representatives of CFL teams. 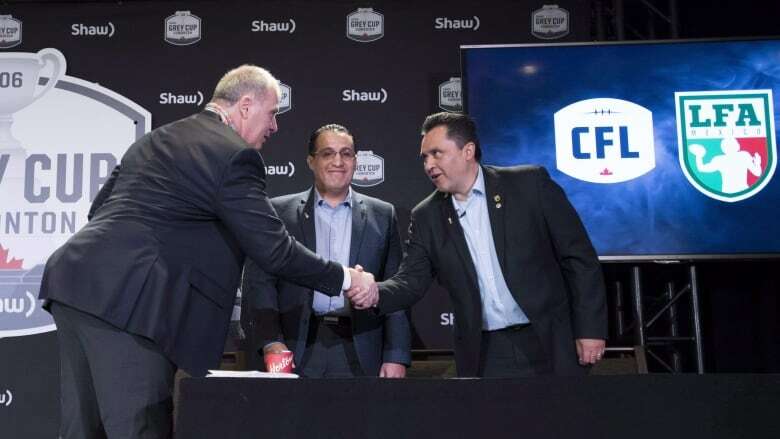 The CFL and LFA signed a letter of intent last month at the Grey Cup in Edmonton that will see them work together on several projects, including possible CFL games in Mexico. "This is an exciting step forward for our partnership with the LFA," CFL commissioner Randy Ambrosie said in a statement. "Over time, we want to expand the CFL's international footprint, and grow the game of football everywhere, by giving the world's top players access to our league and providing more young Canadians an opportunity to play and develop in other countries before possibly returning to play in the CFL."